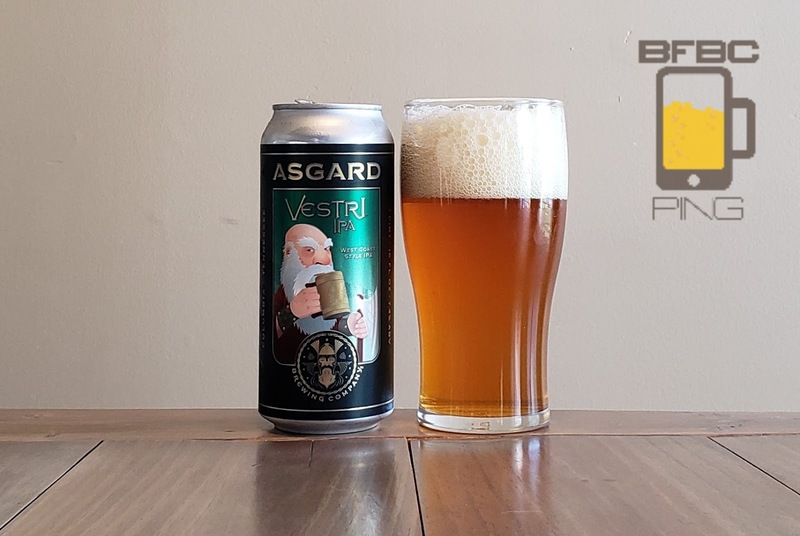 This is a beer from Columbia, Tennessee (far enough from Nashville that you wouldn't want to drive it every day) from a brewery named after a mythological Norse realm and it's brewed in the west coast style of a beer invented by the British for their troop stationed in India. Oh, and this is named after a specific dwarf from Norse mythology because - why wouldn't you? A light honey gold, the head is ample, and it laces like the dickens. So far, so good. The aroma is a sweet and tangy hop and bread malt mix. This claims to be a West Coast IPA, so I'm expected a hefty amount of hops that are still pretty mellow. Let's see what I actually get. First sip isn't good. It's too heavy in the malt, and there's a citrus tang to it without actually bringing any of the meat of the fruit or even the rind. The aftertaste is very bitter, and it feels like there's just no love in this beer. Mind you, that's just a sip. Clearly, the Asgardian on the label doesn't sip beer. This old man with an axe gulps! Tip-in is a more caramel malt than I expected with a dank resin lending it heft while the hops are mysterious and indefinable above it all. The middle is smooth; I don't know why this was missing in the sip, but this is the meat of the citrus and tropical fruits added to the grains of the malt with still a hint of that resin backing up. The finish is disappointingly bitter with a tartness that stays on the lips as almost everything but the resin and pine hops just goes away. I say disappointingly bitter because there doesn't seem to be enough of the hops to justify the bitterness of the end. Bottom Line: Just a bit too rough around the edges for an everyday beer.